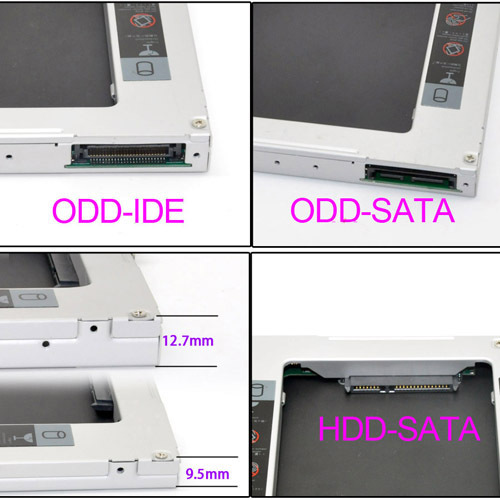 This Lenovo Thinkpad X220 2nd HDD Caddy replaces the dvd-drive or blu-ray drive from the laptop to add a second SATA hard drive! It will fit any 2.5" HDD or SSD. Mounting screw-holes on the caddy provided so you can transfer your original optical drive's mounting brackets to the OBHD caddy.